In this volume: While Aniela tries to escape a lifestyle where obligations take priority over friendships, she befriends Odette, a blind girl with the ability to draw. Almost immediately, concerns and questions arise as Aniela suspects that Odette’s gift is far stronger than any seen before. In the middle of family turmoil and a complicated romantic relationship with Odette’s brother, Aniela faces the realization that helping her comatose friend means disobeying her mother, something she has never done before. “Blind Sight: Through the Eyes of Aniela Dawson” by Eliabeth Hawthorne is a tale about Aniela, Princess of Edaion. Edaion is an island where people who have magic in their blood come to live. Not all of the occupants of Edaion have magic abilities. Aniela’s mother and father are the rulers of Edaion. Aniela’s brother Theo is being trained to take over as ruler some day and her sister, Tatiana is the primadona of the family, always expecting to get what she wants. Of course there was family issues when Aneila’s mother gave Aneila the princess crown (birthright) instead of Tatiana. Aniela meets Odette, a blind immigrant from Spain that has random trances. While in these trances Odette draws pictures and they are different every time. Aniela sees this as an opportunity to find out what is going on with Odette and a chance to branch out into life on her own. Aniela searches for answers to try to help Odette and also help Odette’s broth Leo understand what is going on. 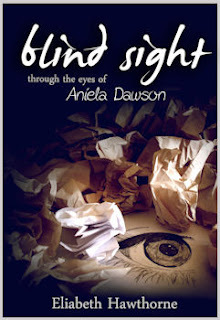 “Blind Sight: Through the Eyes of Aniela Dawson” was very slow in the beginning, it took awhile for me to get hooked and I found myself confused several times throughout the story. Once I found my footing in the story was able to follow along, everything became clear to me about what was going on. I found that I wanted to know what happened next. I would have to say that the switched view at the end had me very lost. It seemed all of the sudden. I figured it is leading up to the next book, but I’m not sure of the reasoning behind it. “Blind Sight” is a very interesting book there are a lot of great ideas and concepts that are portrayed. The only issued I had like I said above is that I felt lost and confused several times. I think the plot of the story was great and that many people will enjoy reading this story. I wish the reader was given more information on the characters. It was hard to get emotionally attached to the characters when I felt like I didn’t know very much about them or where they were coming from in life. I hope in future books that Tatiana will make a bigger appearance along with Theo. I wanted to get to know Aniela’s brother and sister a little bit more. Aniela’s mother could probably have her own story. I want to know why she prefers Aniela over Tatiana and why she doesn’t want to claim Tatiana as her daughter. That seems like some bad parenting skills to me. Odette is a very interesting character because she is extremely moody. One minute she is your best friend acting like you are great and then she goes into this snippy mood and starts biting people's head off. I think Odette gets more slack than she deserves. Others feel sorry for her that she is blind, but that is only giving Odette the opportunity to use her blindness as a crutch and I think she is much better than that. I think Leo is pretty interesting. It will be nice to see what his point of view is. I enjoyed the plot of the story and the timeline of issues because it seemed like Aniela was on an adventure to find out how to help Odette. I couldn't help but hope that Aniela would find answers to help her friend out. You could tell that even when Odette was rude to Aniela; Aniela still wanted to help Odette out. Aniela founds out more about her town and the people around her as she searches for answers. I think these girls came up with a great idea especially to have a dual point of views. Be on the lookout for a review on Leo’s point of view coming on Saturday. 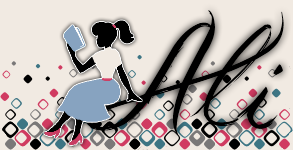 I give "Blind Sight: Through the Eyes of Aniela Dawson” three out of five bookshelves. This post is part of the Blind Sight Blog Tour. Blind Sight is an urban fantasy novel written in two volumes, each telling the story through a different character's perspective. Thank you for your review. The changed perspective at the end is because the last chapter/epilogue is a glimpse/teaser into the second novel which is told in Nate's POV. Tia will be making a much bigger appearance as well since Ermisenda's volume follows her and tells the next portion of the story through her eyes.